Chart No. 12 - Polarity Exercise for the Release of the Brachial Plexus and Neck Tension. 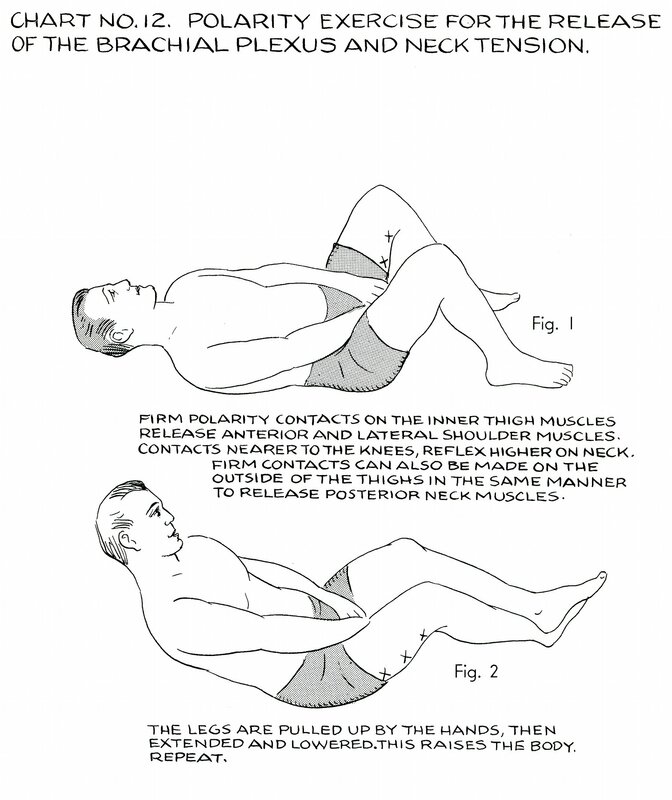 Firm polarity contacts on the inner thigh muscles release anterior and lateral shoulder muscles. Contacts nearer to the knees, reflex higher on neck. Firm contacts can also be made on the outside of the thighs in the same manner to release posterior neck muscles. The legs are pulled up by the hands, then extended and lowered. This raises the body. Repeat. Book 4, "Explanation of Chart No. 12"